Bike Adventure Travel Photo. Bike Tourists Ride On The "road.. Stock Photo, Picture And Royalty Free Image. Image 49673671. Stock Photo - Bike adventure travel photo. Bike tourists ride on the "road of death" downhill track in Bolivia. In the background sky circles a condor over the scene. Bike adventure travel photo. 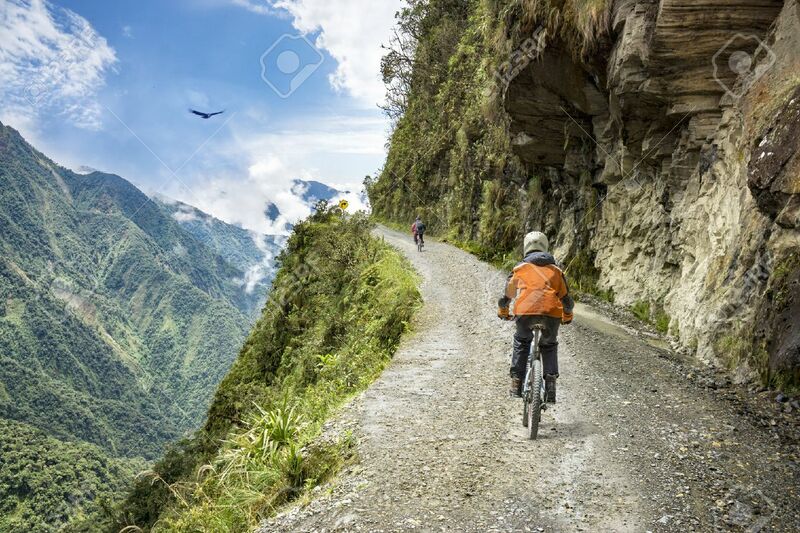 Bike tourists ride on the "road of death" downhill track in Bolivia. In the background sky circles a condor over the scene.